When this book first came across my notice for review, I was interested. The concept sounded intriguing. 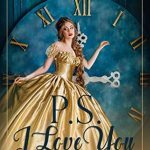 A little time travel, Victorian England, romance? I was sold! Cora Rey is a modern gal who is enjoying a vacation at Twickenham Manor after graduating with her master’s degree. But this trip was so much more than expected when she finds herself thrust back to Victorian England.